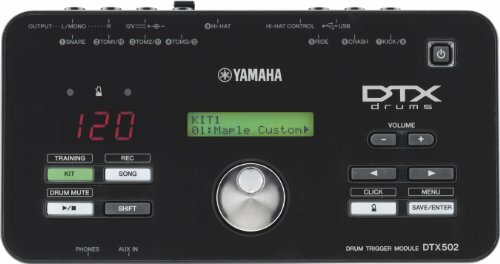 A central part of your electric drum kit is the drum module. Thanks to advancements in these devices, the times of awkward, clunky sounding electronic drums have passed. 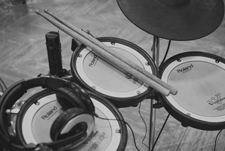 Today, more and more drummers are turning to electronic drum kits, realizing all the benefits that these instruments have. First of all, electronic drum modules are excellent recording tool. 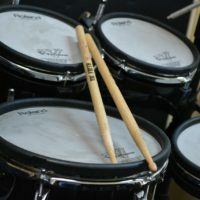 Most of these products offer such amazing sound quality, which mimics acoustic drum sets, as well as offering sounds that are simply not possible on them. Some modules feature more than 60 kits integrated, with sounds that have been recorded in some of the world’s finest studios, by famous sound engineers. Basically, all modern modules come with amazing sound libraries, and most of them also feature SD card or similar slots, so you can also import your own sounds and make this device even better. Thanks to the amazing sound quality, as well as to great flexibility that allows numerous trigger inputs, these modules are also an excellent thing for live performances. While practicing on such versatile instrument, you will have more chances to expand your musical expression and improve you playing in total. Note: Our list also includes a couple of trigger modules, which are a great tool to electrify your acoustic drum kit and get additional features that would be of a great help in both recordings and live performances. When two top-class companies pull their best sources, you can expect nothing less than one of the finest electronic drum modules around. 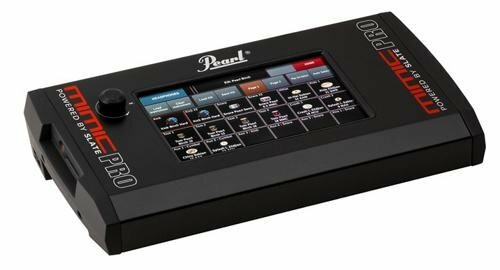 This Pearl drum module is powered by the newest drum library of the famous producer and software expert Steven Slate. So, besides Pearl’s recognizable quality, you can count on drum sounds that have been recorded in some of the most famous studios around. This module comes with 60 drum kits in total, which perfectly mimic the original sound. The module comes with the fantastic 7-inch touchscreen interface, which is extremely transparent and offers pretty simple navigation, which ensures so-much-appreciated easiness of use. Also, the software is extremely fast, which is crucial for the user’s convenience. Additionally, there is a 120 GB SSD, as well as SD/USB connectivity, so you can store all of your favorite samples. Another novelty is an advanced sensor technology, which reduces false triggering to a minimum. These sensors are extremely responsive, so you have plenty of room to adjust the velocity. Since there are 16 ins and outs, this module can work well even with the largest kits. You can monitor your playing, and also record a dry signal without FX. Of course, there is also MIDI connectivity. A 12V DC power supply is also included. The latest version of the famous module series comes with a bunch of improvements. While the overall layout might look unchanged, the software is completely new. The new Prismatic Sound Modeling engine brings an amazingly realistic drum sound, characterized by beautiful colors and great dynamics. The first thing that you’ll notice on TD-50 is a bunch controls. Most players will appreciate all those onboard knobs for EQ, reverb, compression, saturation etc. With these controls, creating natural ambiance seems almost effortless. The core of this module is the new Prismatic Sound Modeling engine, which besides amazing sound offers plenty of modeling options. You can set thickness and overtones of each drum shell, and thickness and size of each cymbal. Additionally, there are 30 built-in effects, like saturation, compression etc. This module also allows you to import any kind of library via SDHC card. Once you upload the library, you can start editing your kits. Thanks to the Snapshot feature, you can A/B before and after. If you don’t like what you’ve made, just scrap it and start over again. When it comes to ins and outs, you can send the signal through either balanced stereo XLR outs, or unbalanced ¼ stereo outs. MIDI in/out is also included, while USB port is a perfect feature for home recording since you won’t need an audio interface. 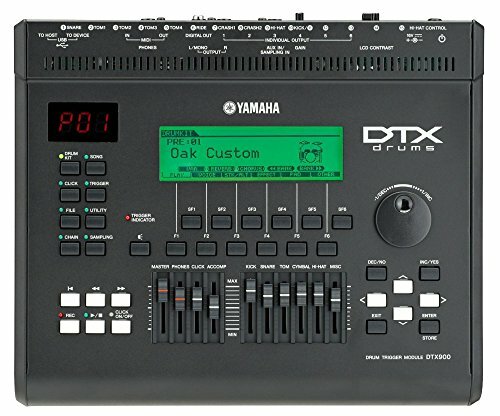 The DTX900 relies on Yamaha’s proven 64-tone polyphonic tone generator, which offers pretty good sound dynamics. This unit offers 50 drum kits with natural sound. 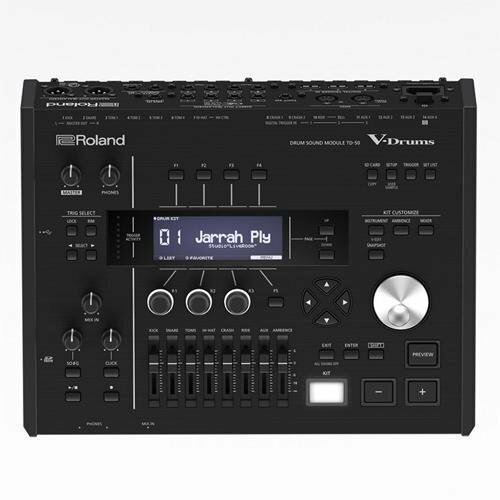 Besides good audio quality, it comes with very user-friendly design, in Yamaha’s traditional layout, with plenty of analog controls. Of course, this module is designed primarily for live performances, but it can serve as an excellent practice unit, especially if we consider a built-in music sequencer. Basically, there are numerous preset songs. You have full control of these pieces, so you can mute pretty much every part of the song, including rhythm part, bass or any other part. So, play with instruments you want and work on your skills. Additionally, there are Rhythm Gate and Groove Check features, as well as an onboard metronome. Definitely, great tools to improve your technique. 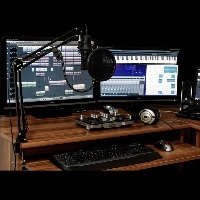 All in all, you can count on thousands of drum sounds, 50 presets and 50 user kits, two USB ports (Type A and Type B), 2-track real-time recording, MIDI in and out and many other features for the price that is significantly lower compared to key competitors. This trigger module looks like a pretty capable alternative to expensive sound modules. For a very affordable price, you can successfully hybridize your drum kit with this trigger module. It is a new, upgraded version of the previous DTX500 module and it comes with a bunch of novelties. The new model delivers almost twice wave ROM and 250 additional sounds. With such large offer, it definitely can make great sounds when connected to pads. 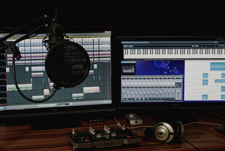 It comes with hi-quality drum and cymbal sounds that are designed by top-class VST developers. With 691 sound and 50 kits in total, DTX502 is ready to take your playing to the next level. 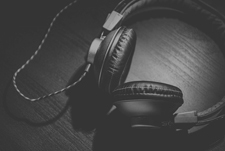 It can be used successfully both for practice and live performances. Easiness of use is one of the strongest points. The trigger’s design is very simple and consists of only several buttons, one data wheel and a small LCD screen. It is good to know that you can import MIDI files, while USB connectivity definitely makes things much easier. In many cases, the best way is to keep things simple. 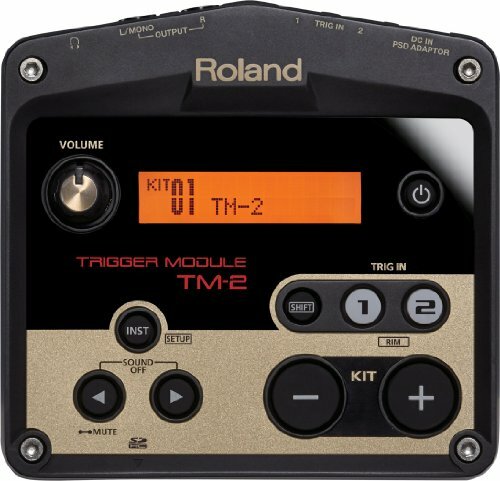 The TM-2 trigger module is a compact and extremely intuitive device, which seems like a perfect tool for all those who need an affordable and easy-to-use unit. It comes with a very simple design, with only a few buttons but with a strong interface that offers numerous sounds.There are more than 100 professional sounds in total, which are designed for layering with acoustic drums as well. Moreover, there is an SD card slot, so you can use your own sounds too. It offers several onboard effects, including reverb, flanger, and delay. MIDI conversion is included too, and the great thing about this device is that you can connect to any other controller. 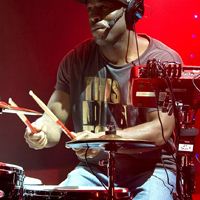 Speaking of connectivity, TM-2 works with both acoustic drum triggers and drum pads. 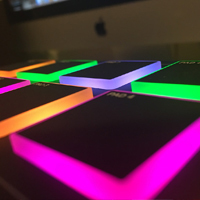 It is compatible with BT-1 Bar Trigger Pad, KT-10 Kick Trigger Pedal, V-Pads, and V-Cymbals. A lack of editing options is probably the only bigger drawback of this unit, though many would say we shouldn’t be asking for more, considering the price tag. An AC adapter is included, though the unit can be powered with four AA batteries as well.